Although tubular structures are widely used in structures nowadays, their joints are often not covered by design codes and guides, especially when it comes to multiplanar joints. Additionally to standard tubular joints, the latest years a novel joint configuration called bird-beak was proposed – since researchers have found that member orientation had a deep influence on resistance of joints. There are basically 2 types of bird-beak joints: the Square bird-beak joint which is obtained from rotating the chord of a traditional joint through 45° about its longitudinal axis, and the Diamond bird-beak joint which is achieved by rotating both the chord and braces of a traditional joint through 45° about their longitudinal axes. These type of joints are an even bigger ‘mystery’ for the engineer, since there is practically nothing in the literature, except for some research with a limited range of validity. 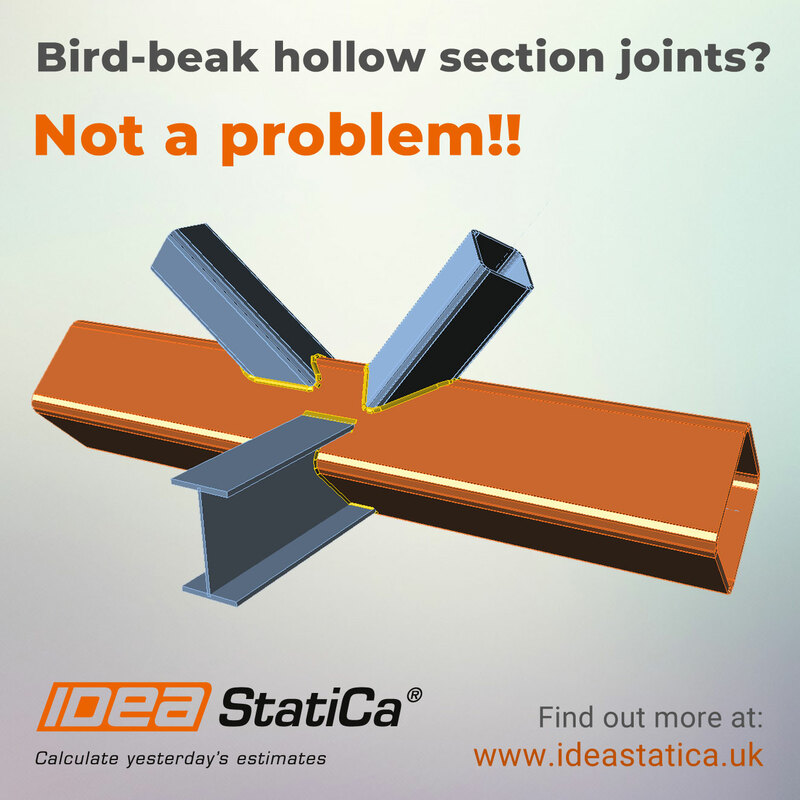 IDEA StatiCa is covering this gap, since its general approach through CBFEM allows the engineer to check quickly and safely any type of bird-beak joint (square or diamond) with any additional stiffening elements, overcoming the design codes lacks and limitations.